Many lakes fall into severe decline through lack of management and maintenance and the ongoing battle against organic decomposition and erosion. Leaf fall and dead aquatic weed accumulate, making silt deeper every year. The encroaching territorialisation from trees and other vegetation blocks out light and breeze, leading to dark, stagnant conditions. What's more, the constant hydraulic action of wind and waves leads to banks becoming eroded, undercut and slumped. Without ongoing management, all stillwaters can quickly fall into a state of decline. 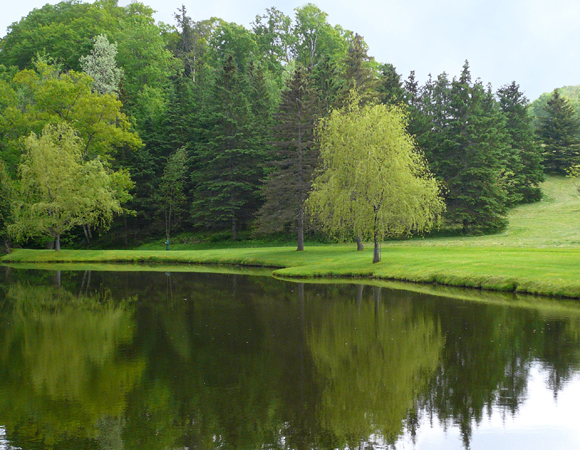 We offer a full range of lake restoration and management services to revive waters to their former beauty and restore habitat for fish and wildlife.